It was the year 2003! The ICC Cricket World Cup was happening in South Africa. Australia were regarded as favourites to win and they comfortably lived up to the name, barring some difficulties in their matches against England and Pakistan. The reigning champions overcame all that and reached the final. Australia put up an impressive show in the final and lifted the World Cup. 16 years later, today both Australia and India are regarded as powerhouses of cricket. A clash between these two teams stir emotions, memories but most importantly uphold the spirit of the Gentlemen’s game. 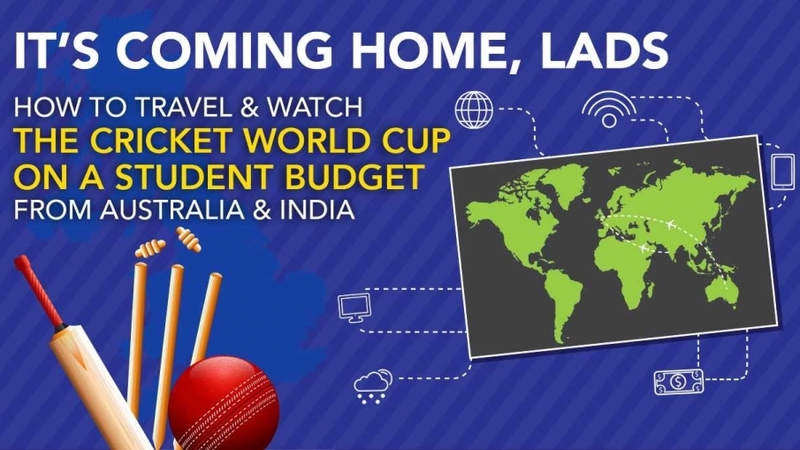 Are you a cricket fan who can’t control the excitement as yet another World Cup is scheduled to begin? 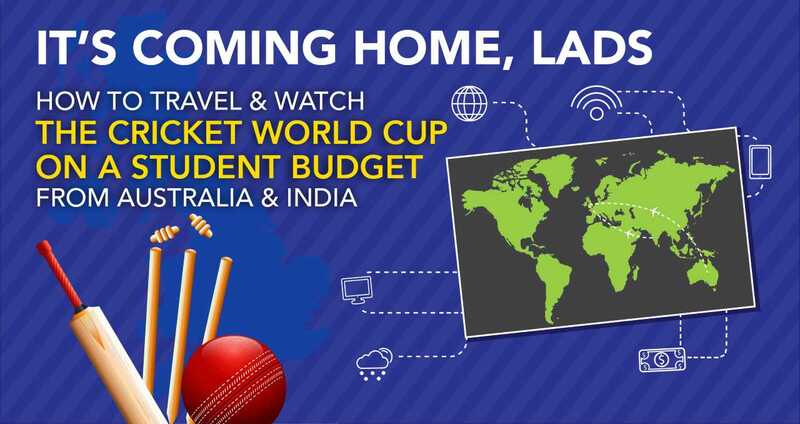 We understand that emotion and have done some research to help you get to the UK and watch the cricket world cup on a Student Budget. 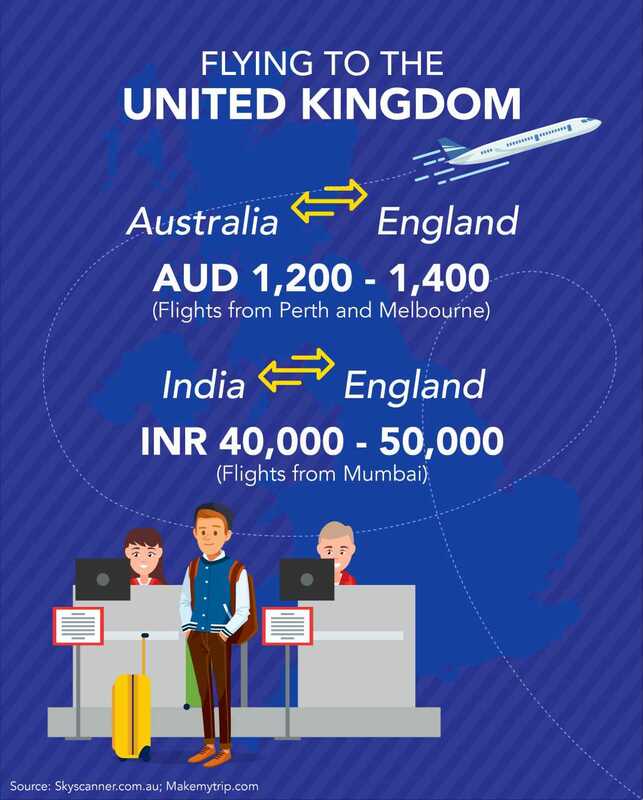 If you book your tickets soon, you will be able to secure a return ticket to England from Australia within AUD 1200-1400 and from India within INR 40,000-50,000. An Australian citizen doesn’t require a visa. 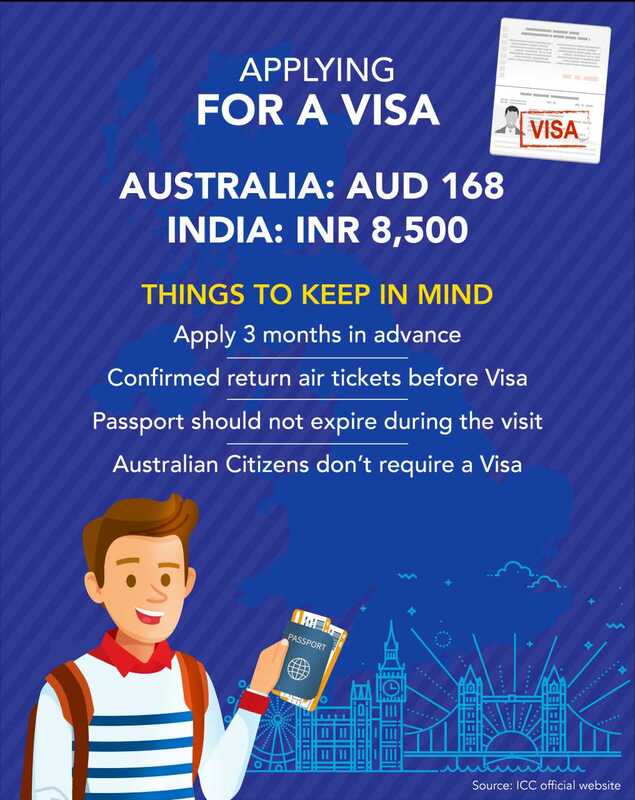 But if you are an Indian or another country’s passport holder in Australia, the visa will cost you approximately AUD 168. From India, you will be able to get it for INR 8,500 (approx). Of course, you need to get to the Stadium. 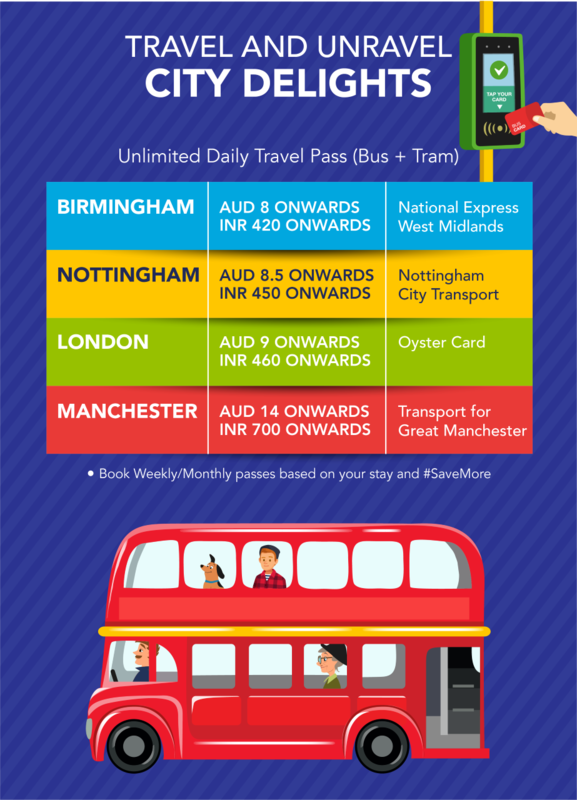 But #DoMore in the UK with these unlimited travel passes and explore some of the City Delights! After all, if you have come all the way to the UK and don’t see the London Bridge, then your spirit will be falling down..falling down. We have also listed the transport providers to save you time and energy. Apart from being a cricket enthusiast and a traveller, are you a foodie at heart? We understand you are on a Student Budget but we have listed restaurants in each of the four cities that won’t hurt your pocket. Things looking great and cost-effective so far? Hope your bags are half-packed by now. Tickets rates vary based on the games. 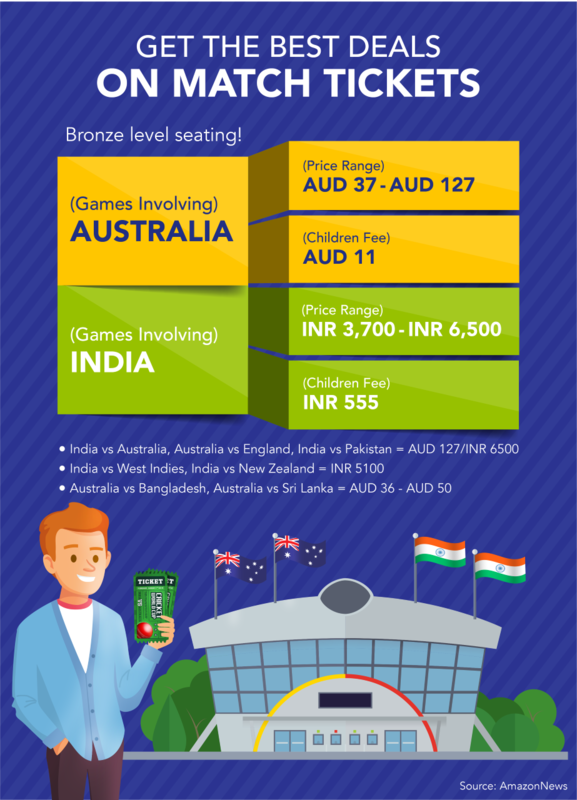 For a match involving Australia, the tickets are priced between AUD 37- AUD 127, depending on the opposition. Likewise, the price range for games involving India are between INR 3,700 – INR 6,500. You can also see the prices of certain games involving India and Australia in the image above. These are Apps that will help you get the Best Deals for every aspect of your stay. So if you want to transfer money to the UK from Australia and India or vice-versa, just use InstaReM. You will NOT be charged any margins on Fx rates. There are NO HIDDEN CHARGES too. This means you will get the BEST TRANSFER AMOUNT GUARANTEE. If you are a student, visit https://www.instarem.com/students to avail our offers. So now that you know how to travel to the UK on a student budget, when are you planning to go? Tweet/Message us if you are interested in a particular match and we can give you specific details.